Celebrities from across the spectrum came together to answer phones, sing songs and raise money for hurricane relief, and one spectacular nun went above and beyond to help out—that and more, in today's Pop Bits! Singers, actors, athletes and other celebrities gathered for the Hand in Hand Telethon to raise money for victims of recent hurricanes Harvey and Irma. Stevie Wonder opened the show saying, "We come together today to love on people that have been devastated by the hurricanes. When love goes into action, it preferences no color of skin, no ethnicity, no religious beliefs, no sexual preferences, and no political persuasions. It just loves." He then played his classic "Lean On Me." Let's add the phrase "chainsaw-wielding nun" to the lexicon, shall we? Sister Margaret Ann is now Internet-famous for her work clearing debris after Hurricane Irma. "The road was blocked, we couldn't get through," she told CNN. "And I saw somebody spin in the mud and almost go into a wall, going off the road. So, there was a need, I had the means — so I wanted to help out." After an Australian magazine published stories claiming Rebel Wilson lied about her age, name and upbringing, the Pitch Perfect star initially responded on Twitter by saying "OMG I’m actually a 100 year old mermaid formerly known as 'CC Chalice'." She later sued, which turned out to be a better decision... to the tune of $3.66 million. Meet Alexis Olympia Ohanian Jr., daughter of Serena Williams and Reddit co-founder Alexis Ohanian. Born September 1 at 6 pounds, 14 ounces, the future athletic superstar is already a Grand Slam champion, having won the Australian Open in January while inside Serena's womb. 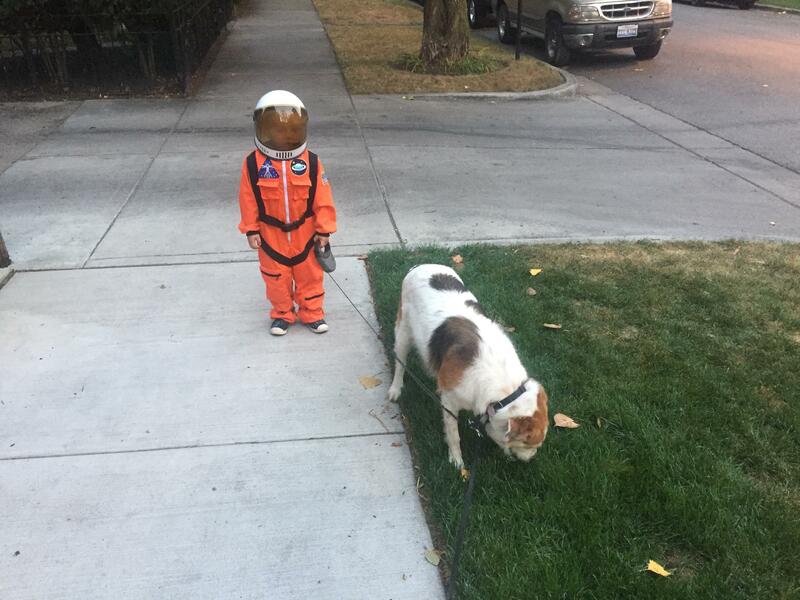 Kids + dogs + space stuff = internet gold. Enjoy!